In Ebensee there was one of the most significant satellite camps of the Nazi Mauthausen concentration camp in Austria during the final years of WWII. 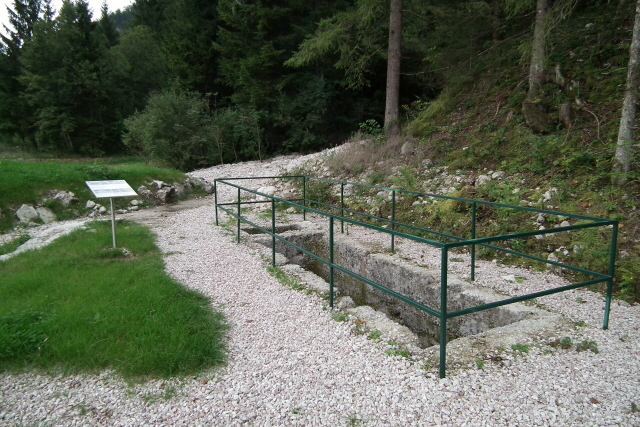 While virtually nothing remains of the camp as such today, part of the arms-production tunnel system dug into the mountain by camp inmates has been made accessible to visitors. 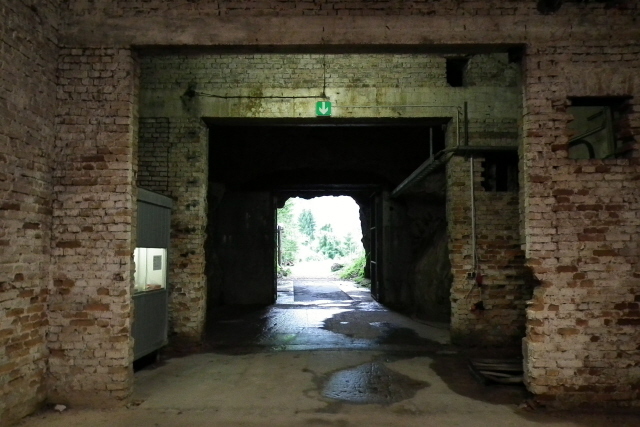 This makes the site a uniquely significant dark attraction in Austria. More background info: Ebensee camp, one of the many satellite camps of Austria's main concentration camp Mauthausen, was set up towards the end of 1943 in the woods near the town of the same name in the Salzkammergut region in Upper Austria, in the foothills of the Alps, some 40 miles (60 km) east of Salzburg. At the height of its operation up to 18,000 inmates were housed in the camp. 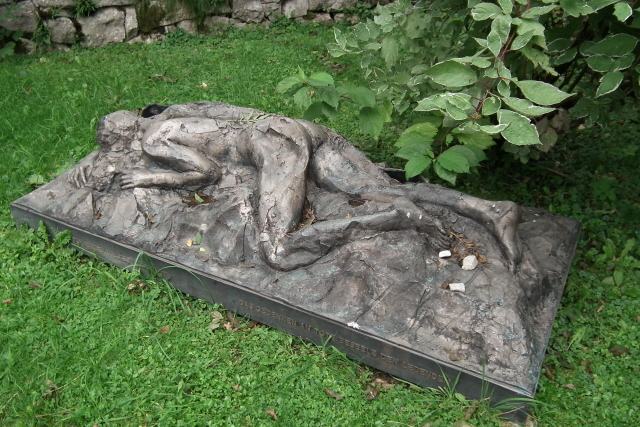 Given the harsh working and living conditions and brutal treatment of the inmates, the death toll at Ebensee was particularly high. 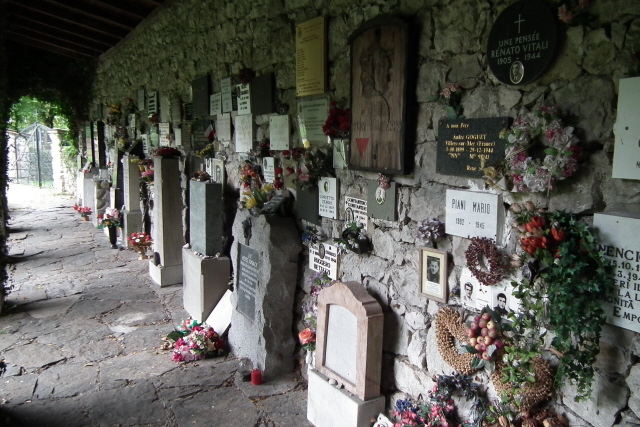 At first, the dead were sent back to Mauthausen to be cremated there, later a crematorium was built at Ebensee to deal with the piles of corpses there and then. 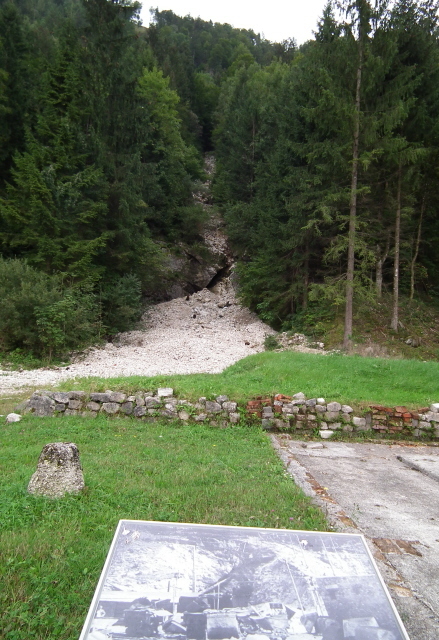 The main purpose of the camp at Ebensee was the digging of tunnels into the mountainside which were to become underground production facilities of Nazi Germany's arms industry, which was increasingly being threatened by Allied air raids. (See also Mittelbau-Dora). In addition to housing a refinery and facilities for the assembly of engines and parts for fighter planes and tanks, the tunnels at Ebensee were to serve as a production site for missiles, especially the infamous A4, better known as "V2". Apparently there were also plans to have the ambitious ICBM "Aggregat 9" built here too. But this never materialized. Much of the underground site too was never finished but remained just raw tunnels driven into the mountainside and were never fitted out. The camp was liberated on 6 May 1945 by the US Army. Today, virtually nothing of the original camp remains and the area has been largely built over with new housing. Only a part of the camp's gate remains by the road – otherwise there's just a cemetery by the camp's mass graves with a couple of memorials. A small museum located in the nearby town chronicles the history of Ebensee camp (and that of the area more generally). 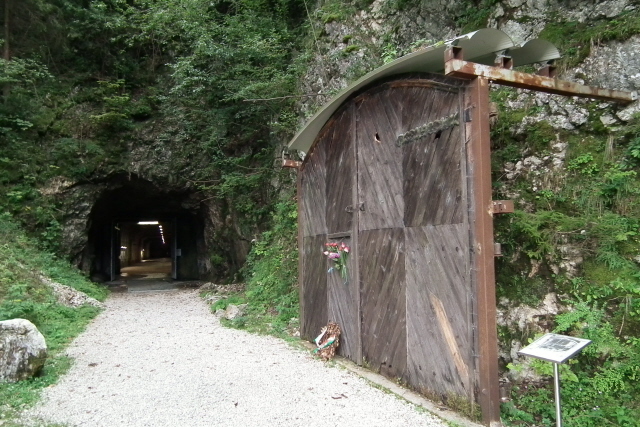 The main dark attraction of Ebensee, however, is the tunnel ("Gedenkstollen") that has been made accessible to visitors. It's only part of the former vast system of tunnels, but it's still an impressive sight to behold. It also contains a small additional exhibition. It's not a very well-known site, but is definitely worth the detour! 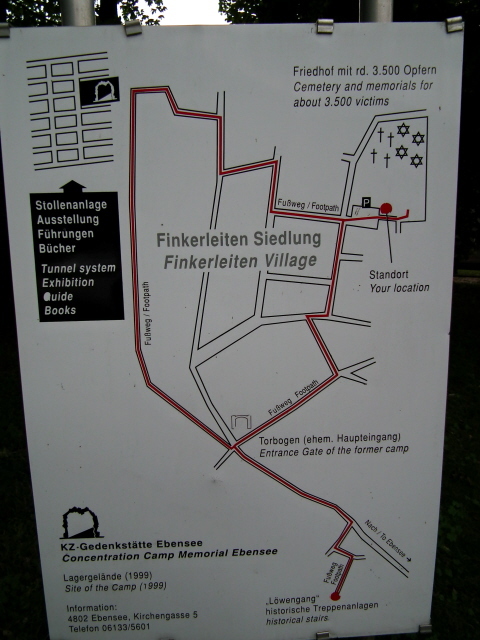 What there is to see: From the car park by the camp cemetery ("KZ Friedhof"), where there are a number of memorials and a few information panels, a signposted footpath leads to the entrance of the tunnel ("Gedenkstollen"). 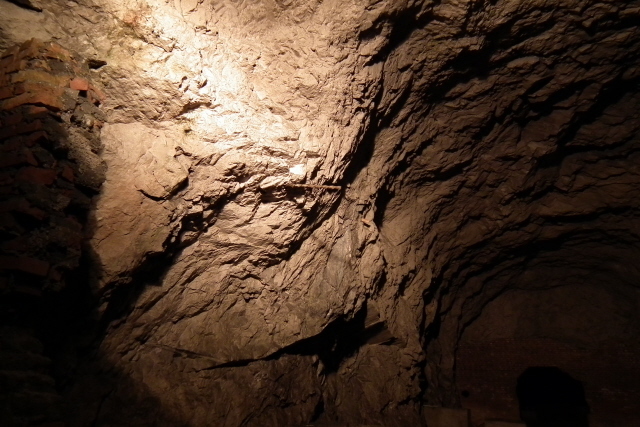 This is the main attraction, the original tunnel inside the mountain, and it is an impressive sight indeed. As you approach the mountainside you can already catch a glimpse of the long, dimly lit interior. You pass through a metal bar gate (when it's open, otherwise you can only peek through into the dark) and a little ticket booth. Once you've bought your ticket you are free to wander. 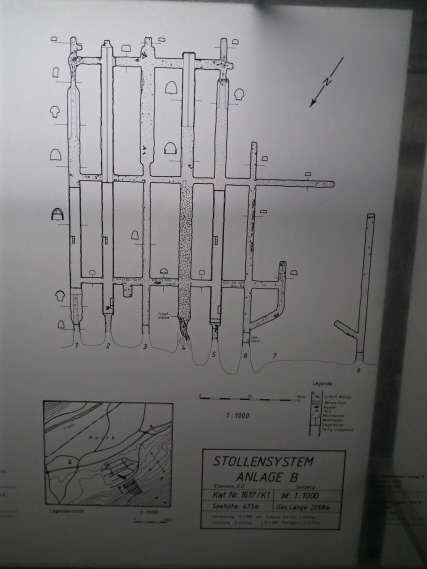 The initial section has a few information panels telling the story of the tunnel system and the Ebensee camp (in German and well translated English). But it is simply the feel of the dank and gloomy underground space of the tunnel that is the main thing here (it was tunnel "No. 5" of tunnel "gallery B", if you need to know the exact designation). You can walk the full length of one tunnel that was completed, i.e. fitted out with concrete support beams and the like. To the sides you can see some of the unfinished parts of the tunnels, i.e. those that are mere raw holes dug into the rock. Similarly, at the back, where the fitted-out tunnel ends you can peek through a metal barred "window" into more raw cavernous space beyond. There are also some mysterious brick and concrete structures to one side of the main tunnel. Back outside there are a few more remains, including the ruined gate area of another part of the tunnel system, a wooden gate that used to be at the camp's main gate (the arch of which can be see from the road – see below), and a few more bits and pieces, accompanied by more information panels. You can also follow the footpath eastwards toward the so-called "Löwengang" (literally 'lion's path'), the historical steps leading uphill to the camp's former quarry (cf. 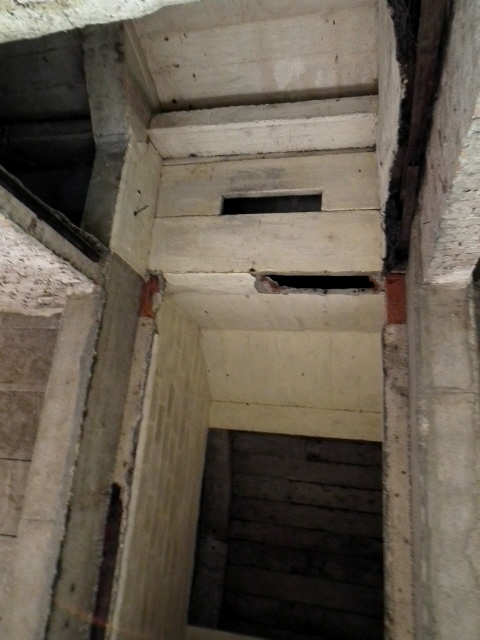 the 'stairs of death' at Mauthausen!) in the forest. Back at the camp cemetery, the ensemble of memorials and monuments warrants a closer look. 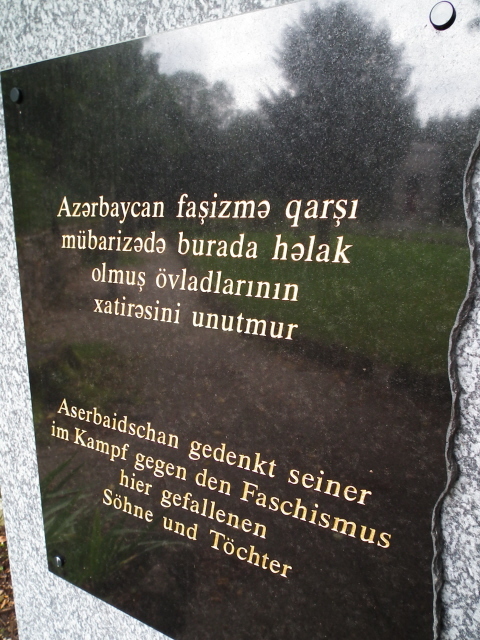 In addition to some nations' general memorials (including some possibly unexpected ones such as Azerbaijan), there are individual memorial plaques clustered under a shelter by the back wall of the cemetery. 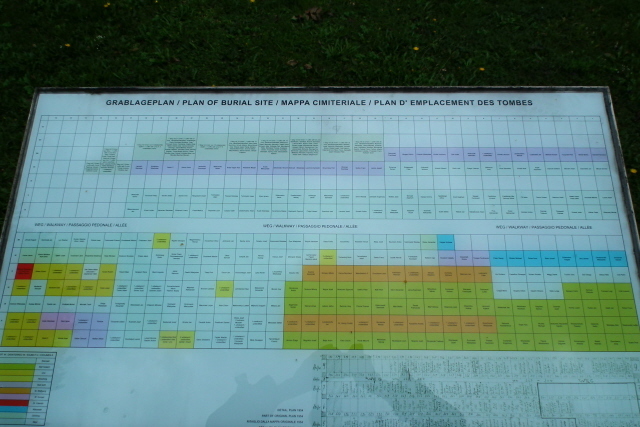 There's also a multilingual grave location chart for those plots that are identifiable. In total some 3500 victims of the camp are said to be buried here. En route to the car park – or on your way out towards the village of Ebensee – you can stop and have a look at the only original relic of the camp as such: the arch that used to be the camp's main gate. It's in a side street (Aufeldstraße) branching off to the north of the main approach road. In the centre of the town of Ebensee itself there is a memorial museum ("Zeitgeschichte-Museum"). The exhibition chronicles the camp's, the area's and general Nazi history in three rooms. It's a text-and-photo type of exhibition, with a regional focus and primarily aimed at an educational audience (there are special services for school groups and the like). As such it may not be so important for the foreign visitor and individual (dark) tourist. But if you have the time, why not take a look. There is also a museum shop with various brochures and books on offer (a much wider range than at the tunnel ticket booth). On balance, while the museum and museum-like information panels at the actual site may be more for the purely historically minded (and there may be some details to learn that might be new to even experienced WWII and NS history buffs) it is the original tunnel that really makes the Ebensee site pretty unique, at least in Austria (but cf. Mittelbau-Dora in Germany), and the main attraction for the dark tourist. Recommended! Location: at the southern end of the Traunsee lake, a good 12 miles (20 km) south of the main A1 motorway ca. 40 miles (60 km) east of Salzburg in the north of Austria. The memorial museum is right in the centre of the town of Ebensee itself, next to the pink church. The car park by the cemetery is located in the centre of the suburban housing estate of Finkerleiten village south of Ebensee proper. The entrance to the tunnel is at the end of a footpath south of the car park. Access and costs: seasonally restricted, a bit off the beaten track; mid-price. Details: Ebensee is a small provincial town not too far from Salzburg, and is easiest to reach by car coming from the main A1 motorway (east of Salzburg). Take exit 224 for Gmunden, then drive on the 145 road through Gmunden itself and onwards through Altmünster to Ebensee. 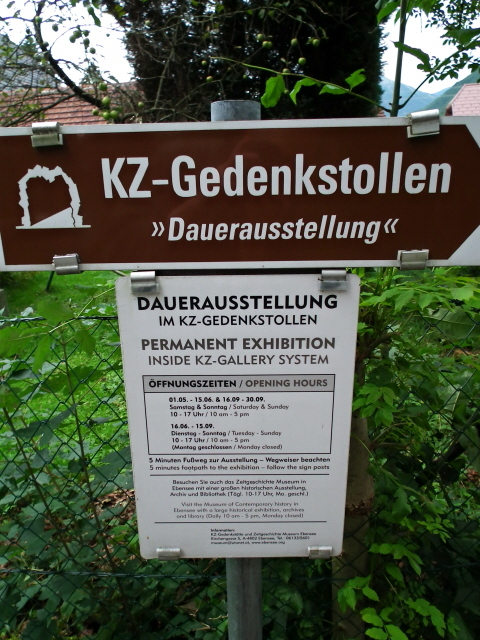 To get to the car park for the tunnel and cemetery, proceed past the exits for Ebensee itself and follow the signs for the Gendenkstätte just south of Ebensee. 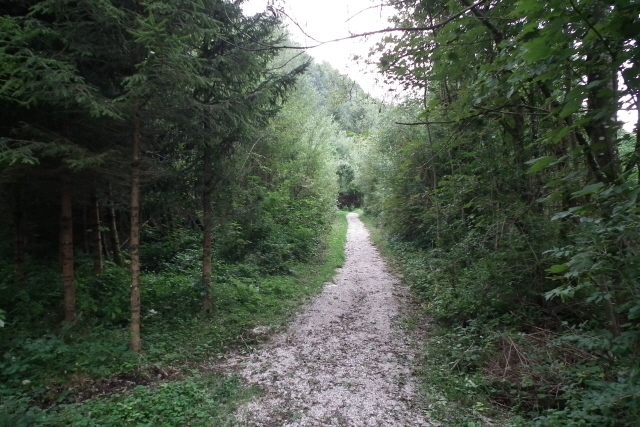 The road first follows parallel to the main trunk road, then branches off to the left towards the village of Finkerleiten. 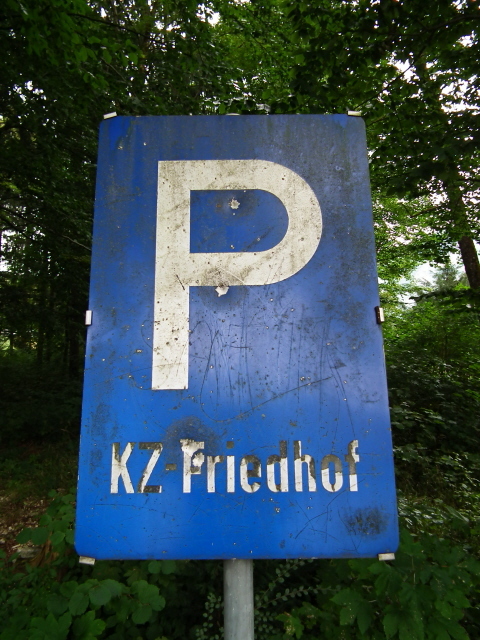 There are signs for the KZ Friedhof, where there is a small car park. 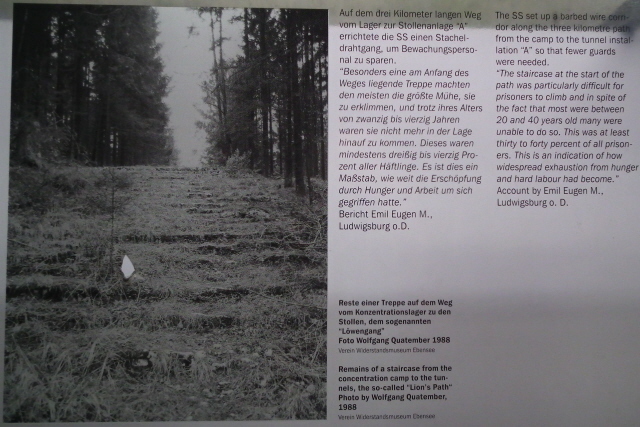 Here you can also find a map of the site, which includes directions to the tunnel as well as to the "Löwengang" stairs. A signposted walking route through the village leads to the footpath for the "KZ Gedenkstollen" (about 5 minutes' walk). The "Zeitgeschichte-Museum" is located right in the centre of the old town in Ebensee on Kirchengasse 5. Parking can be a bit of a problem here. There are only a handful of spots directly by the museum and the adjacent church so you'd have to be very lucky to get one of those. If you don't want to drive: it 's also possible to get to Ebensee on public transport. Ebensee can be reached by train: coming on the Westbahn mainline between Vienna and Salzburg, you'll need to change at Attnang-Puchheim and continue on a regional train in the direction of Stainach-Irdning (see www.oebb.at). There should normally be hourly connections and the onward journey to Ebensee takes ca. 35 minutes. For the Zeitgeschichte-Museum the stop Ebensee Landungsplatz is more convenient (3 minutes' walk) than the main station. It's also from here that you can catch a (very infrequent) bus to the Gedenkstollen site (well, to the Finkerleiten housing estate, from where you'll still need to walk), otherwise better get out at the main station and take a taxi or walk (ca. 30 minutes). The opening times of the Zeitgeschichte-Museum are: from 10 a.m. to 5 p.m., Tuesdays to Sundays between January and end of October (in November and December only Tuesdays to Fridays, and closed altogether for much of the Christmas holidays – best check ahead when visiting then). Admission 4 EUR. The opening times of the tunnel are a bit more restricted: it is only open to visitors between May and the end of September, until mid-June only at weekends between 10 a.m. and 5 p.m., then until mid-September also Tuesdays to Fridays. Admission 3 EUR. If you want to see both the tunnel and the museum you could get a "combi ticket" for 6 instead of 7 EUR (available at either point – but make sure the other one is open as well before you purchase a combi ticket; they do not necessarily point it out if this is not the case, as I once experienced, when I went to the museum after having seen the tunnels, only to find it temporarily closed for refurbishment …). Note: bring warm clothes for visiting the tunnel – inside it is cold, some 8 degrees centigrade, year-round. Time required: The tunnel alone would only take about half an hour or so to see (a bit longer if you want to study all the information panels in full detail). Add another 15 to 30 minutes at the cemetery to view the memorial monuments and the information panels there. The hike to the "Löwengang" stairs also requires extra time. I didn't go there when I visited in September 2010 because of bad weather, so I can't say how long the walk would take, but I should guess something like an extra 20 minutes each way … only as a rough estimate. Combinations with other dark destinations: The most obvious combination thematically has to be a visit to Mauthausen, naturally – which was the central concentration camp in Austria. However, it is quite a long distance away and requires a lot of time for itself. You'd be hard pressed to try and visit both sites in a single day. But on a longer itinerary, they should indeed be combined. Closer by, and also thematically linked, though in somewhat different ways, is the Obersalzberg near Berchtesgaden just across the border from Salzburg in Germany. Here, Hitler's "Eagle's Nest" in particular is a prime dark tourism attraction. 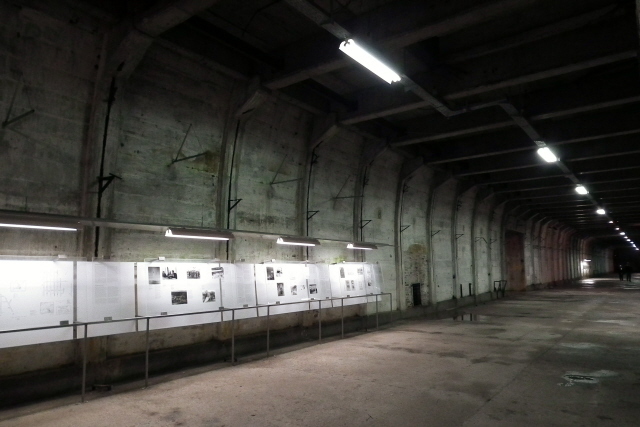 The associated documentation centre makes for a good counterpoint to Ebensee – looking at the seductive propaganda side of Nazism as well as the underground bunkers the Nazi elite had built for themselves to shelter from the retaliation by the Allies which they had brought upon themselves towards the end of WWII. Combinations with non-dark destinations: The location of Ebensee is a very pretty one itself – right by a deep mountain lake (Traunsee), part of a whole ensemble of highly acclaimed scenic Alpine lakes, of which the Hallstätter See is universally regarded as the most scenic. The surrounding Salzkammergut area is also full of attractions of various kinds, from mountain hiking to historical sites, including those related to salt mining (which gave the whole area its name, of course – "Salz" meaning 'salt'). The nearby city of Salzburg is a focal point for tourism in the region, of course. The legacy of Mozart is a particularly heavily commercialized aspect of Salzburg. And those who can't help themselves and are after some "Sound of Music"-themed experience are catered for too. That kind of thing seems to be solely aimed at foreigners, primarily Anglo-Americans, given that the musical/movie is scarcely known here (outside the tourism trade that is). A particular natural monument that has to be singled out here is the "Eisriesenwelt", literally 'world of ice giants', near Werfen, some 40 miles (60 km) west of Ebensee and 20 miles (35 km) south of Salzburg. It's a huge cave high up inside the Tennengebirge mountain which is filled with permanent ice some of which assumes suggestive shapes, hence the name. It really is one the most stunning sights to see in the Austrian Alps. A must-do by any standards.